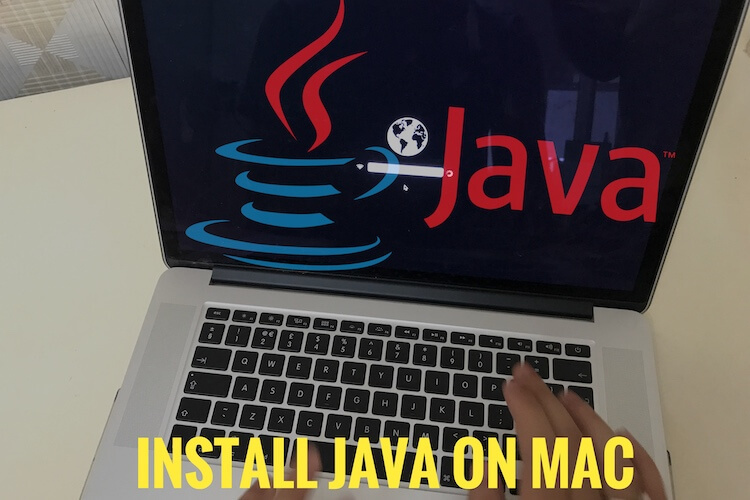 On some place, Poor WiFi connectivity, No broadband internet you have to turn internet on your Mac, MacBook Pro/ Retina, iMac only through Personal hotspot from your iOS device running on iOS 9 or iOS 8. here you can turn personal hotspot on Mac using USB lighting cable and Bluetooth or Wi-Fi only. 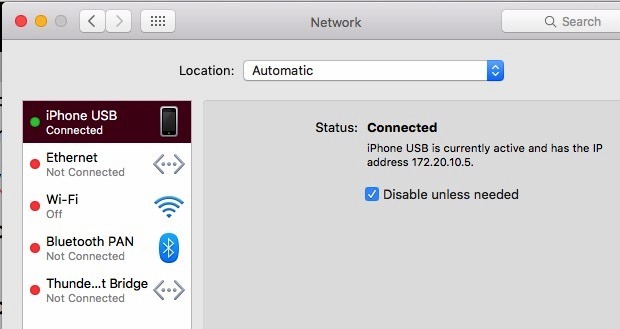 But unfortunately your iPhone can’t showing in network preference after connect with Mac using USB lightning cable. 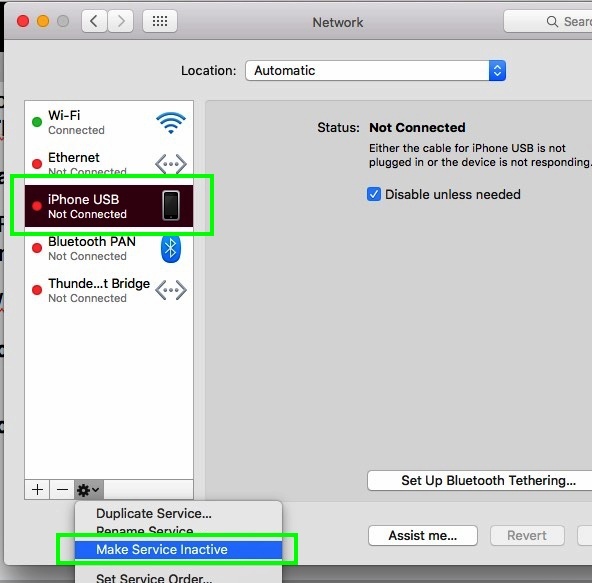 So follow the below steps for USB personal hotspot not working on Mac running with OS X Capitan or Yosemite. USB hotspot connection Setup with USB or WiFi needs some basic configurations and privilege conditions. So most of the folks have queries like Wi-Fi or USB personal hotspot not working on Mac. 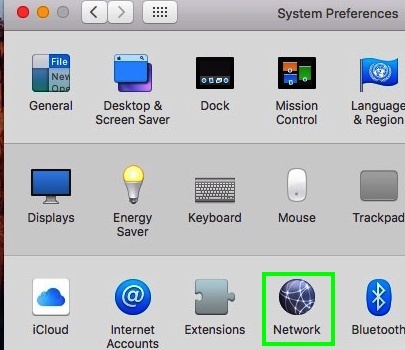 So from here learn the full concept about how to turn on enable personal hotspot in iOS 9 and share with Mac. Connect your iPhone to Mac through USB lighting Cable. Step 1: First, Enable Personal hotspot on your iPhone, iPad running on iOS 9 or iOS 8. Go the Settings > Mobile Data > Enable Mobile Data. Once you Enable Personal Hotspot, Below screen will appear on your iOS device, here you want to turn personal hotspot only through USB, So tap on USB only. Step 2: Turn off Wi-Fi or Ethernet from the network preference. System Preference > Network > For Ethernet > Choose configure IPv4 Off from Drop down. System Preference > Network > For Wi-Fi > Turn Wi-Fi Off. Still your device can’t open internet on Mac, Make iPhone USB inactive and Reactive. Follow the below screen, Choose iPhone USB > From the below setting icon dropdown choose Make Service inactive and re activate by Make service active. check your browser, internet working or not. if you see the below screen, then personal hotspot now working on Mac through USB cable. Apple also give another option for personal hotspot with Wi-Fi or Bluetooth connection to your Mac (OS X EI Capitan/ OS X EI Yosemite). still personal hotspot not working on Mac OS X EI Capitan, share your story on below comment box.